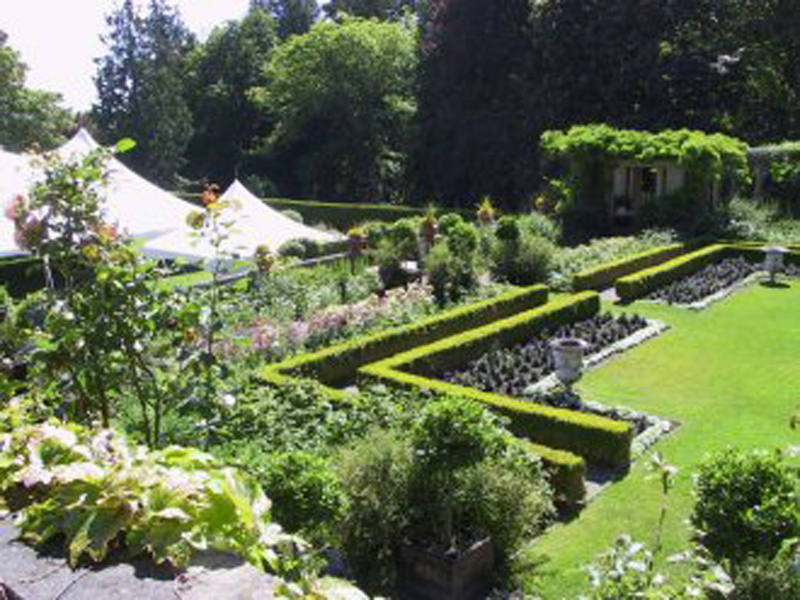 The Italian Garden is the most formal of the gardens and features a symmetrical layout. 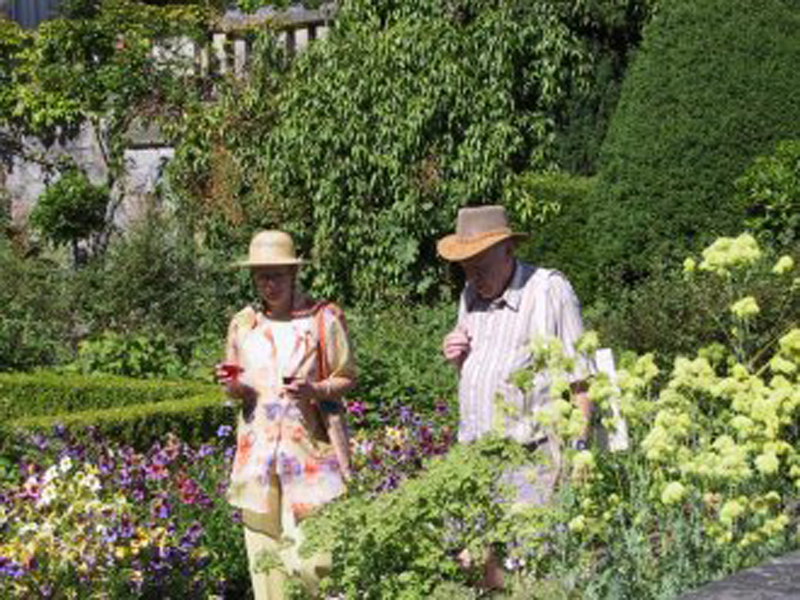 The general layout of the garden has remained much the same throughout the years. Plantings in the Italian Garden are seasonal and statues representing the four seasons can be found throughout. The statues are: Pomona, Ceres, Flora and Hebe. The garden features a central pavilion, flanked by circular loggias that terminate at each end in a vine-covered gazebo. In May there is a tree with large yellow flowers near the wall named Fremont dendron after a US military officer who surveyed California around 1850; it is also known as Mexican flannel bush. 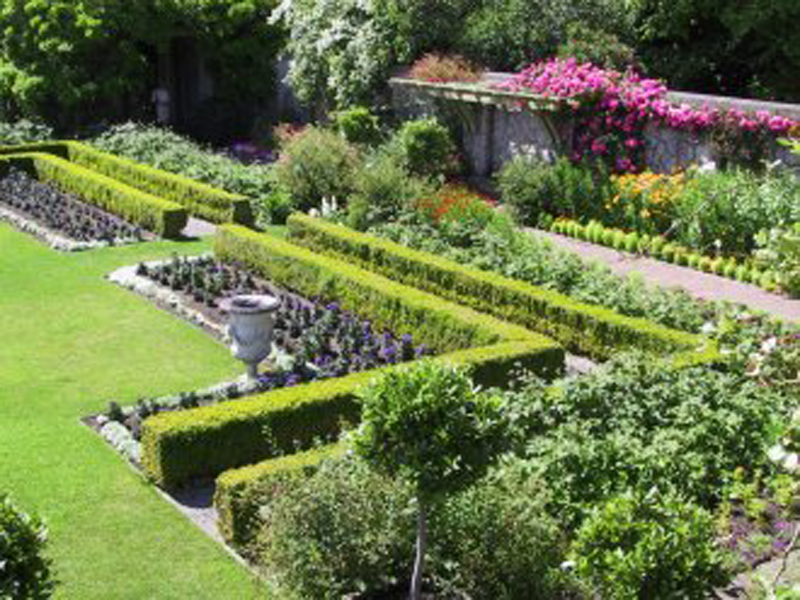 The boxwood hedge found in garden was typical of the period when the garden was built in the 1930′s. During the Summer, weddings are held daily in the Italian Garden.